Need some help figuring out how to open your key fob without breaking it? We have put together a quick video on how to change the battery in a 2005 - 2010 Pontiac G6 Key Fob. Please like the video if it helps and subscribe to our Youtube channel for more car tips, tricks, & hacks. Buy Pontiac G6 Key Fobs | key fob shells | and Key Fob Remote Batteries at up to 80% off dealer prices. 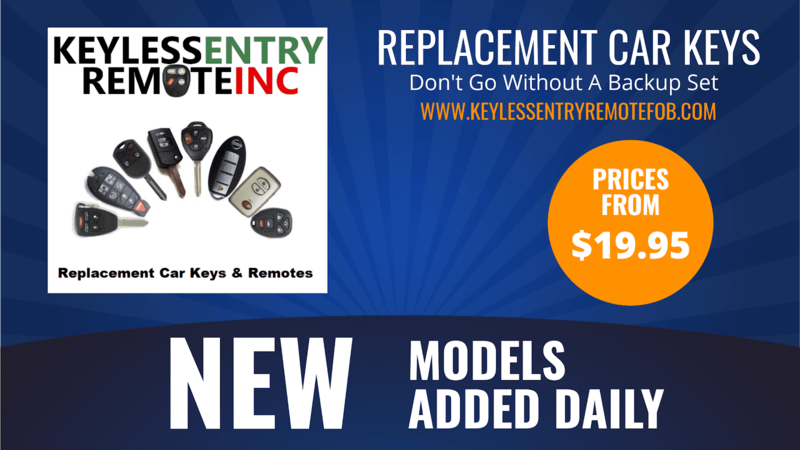 Keyless Entry Remote Inc. supplies factory oem (original equipment manufacturer) key fobs. What this means is you will receive the same key fob that was made for your Equinox, no knock-offs. This guarantees the remote will work with your vehicle. We also provide free of charge programming instructions and video tutorials for all sorts of key fob related topics. This is our gift to you whether you purchase a remote from us or not. We are a licensed locksmith, members of ALOA (Associated Locksmiths of America), the BBB, and more. We are the key fob experts! © Copyright 2019 Keyless Entry Remote Inc.